I have wanted to travel to Myanmar for years. I’ve watched the movie about the life of Aung San Suu Kyi (“The Lady”) twice. I’ve drooled over the sailing charts but keep hearing how tedious and expensive it is for cruising yachts to access. So when I was living in Phuket and needed to extend my visa by leaving Thailand, it was a no brainer: Do a visa run to Kawthaung (Victoria Point), in Myanmar (Burma) via Ranong. Yay! I finally got to travel to Myanmar. Well for a brief visit anyway. After reading the frequent horror stories about mini bus nightmare one day visa runs in the Phuket newspapers and blogs I opted for the local bus. 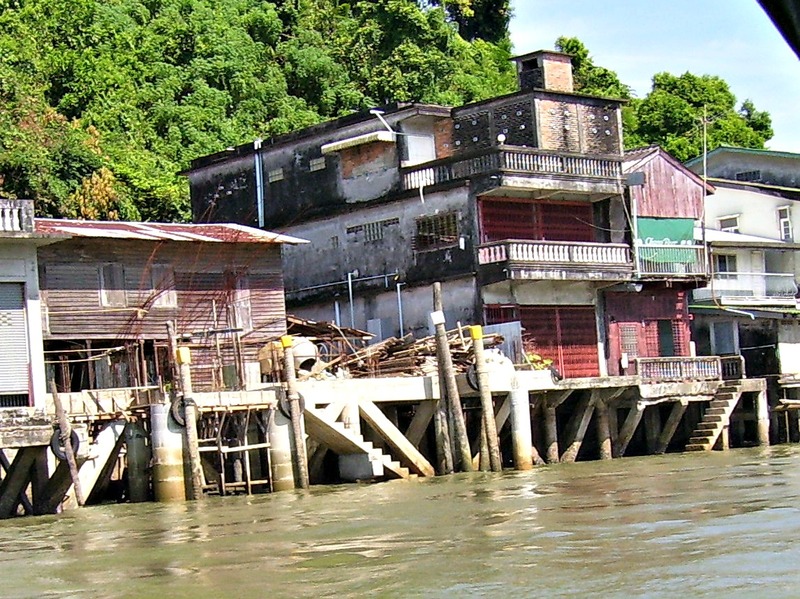 Plus I wanted to spend a night in the Thai border town of Ranong. The 300 km trip took forever. I was practising counting in Thai and lost track at 33 stops in the six hour journey. 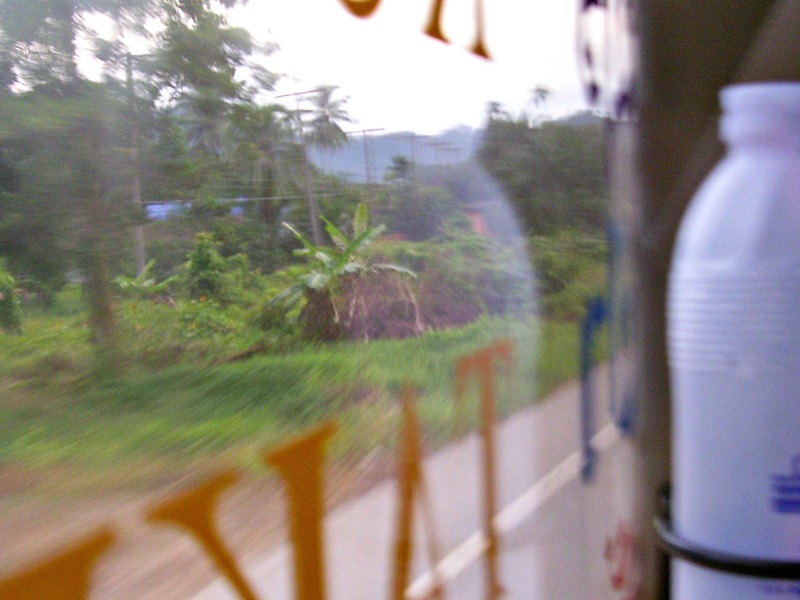 Out the window it was all jungle, small towns, rubber trees, clumps of colourful spirit houses, election billboards and more jungle. To a sound track of Thai rock on the bus TV. The clock next to the TV would climb its way up to a couple of minutes to nine, then be dragged back down by gravity. The second hand unwinds. Again. Whenever I dozed I would wake up to the clock telling me it was still two minutes to nine. Looks like deja vu all over again Yogi. View from my room. The river burbled soothingly all night. I spent the night at the Thansila Hot Springs Resort in Ranong. Great value, really comfortable bed, with the river running right past the picture windows and burbling through my sleep. 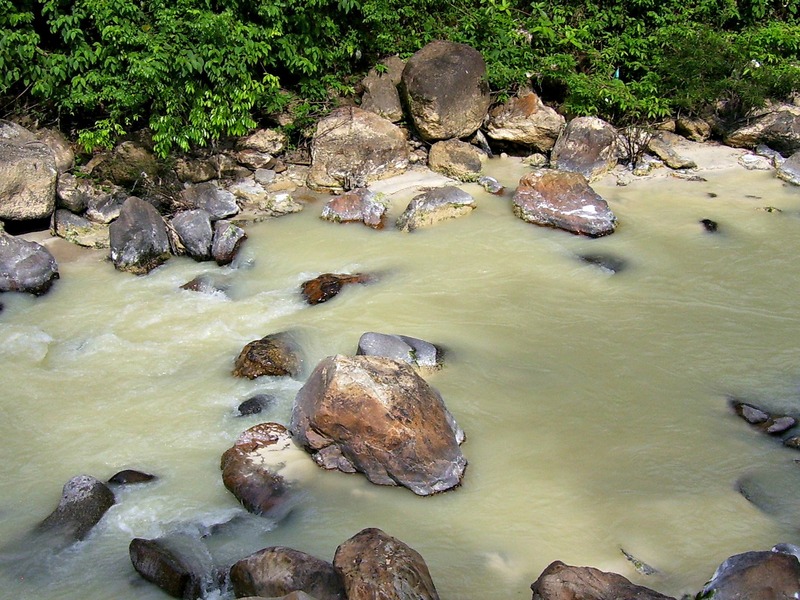 The hot springs were about half a kilometre away. Seriously weird concept dipping in a 65 degree C pool after the hot and sweaty walk up the hill in the tropics, but I think it was therapeutic. 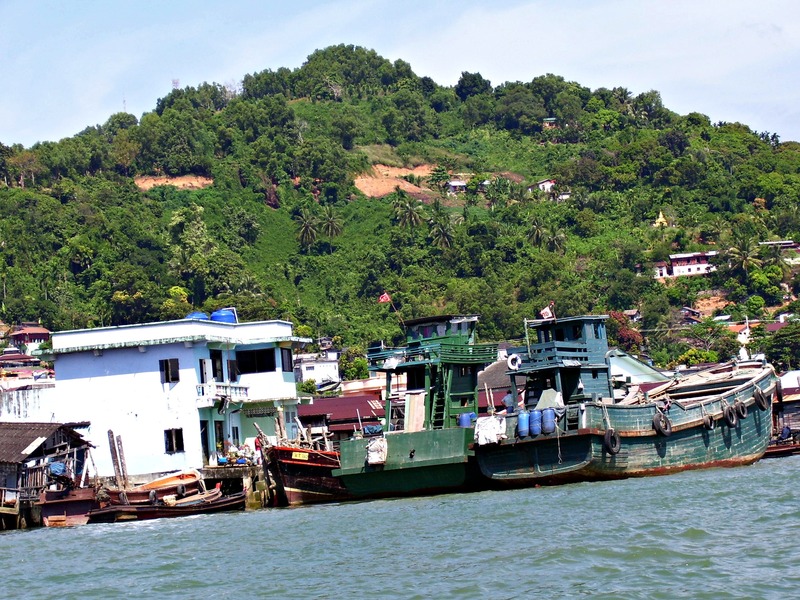 The next day I took a longtail boat ride over to Myanmar, passing through three military checkpoints to get there. I was happy to tip them for their help. They made me feel so welcome and made me laugh for most of the short time I was on Myanmar soil. Although I admit I gave them a little less than their suggested $US1000 each. Next time I travel to Myanmar I’m going stay much, much longer. As long as my visa allows. In a hotel that is.